A great stress relief product for truck drivers. 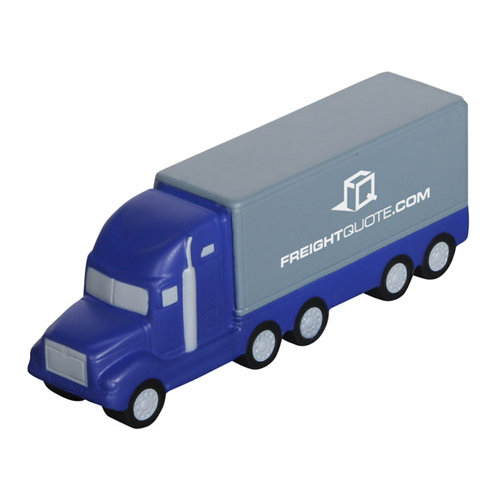 Use the Semi truck stress ball for a giveaway for the trucking industry, shipping companies, etc. Made of Squeezable polyurethane foam. 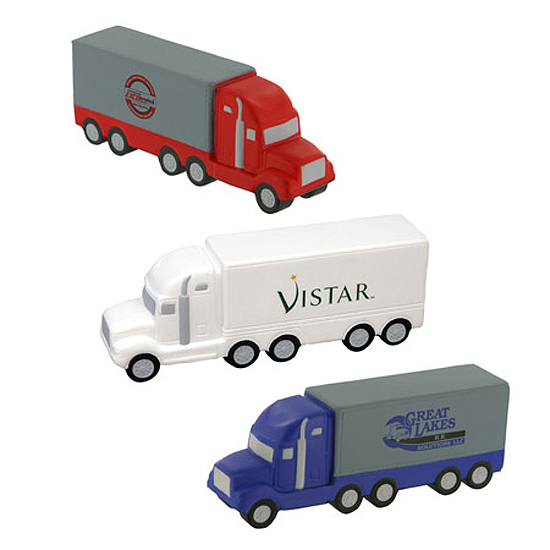 They are presented to employees and clients as promotional gifts. 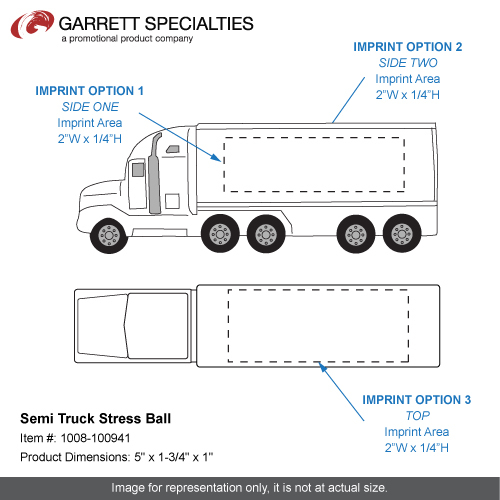 Stress balls or stress relievers are becoming a trendy giveaway item. Because of the many shapes now available, stress balls are generically known as stress relievers. 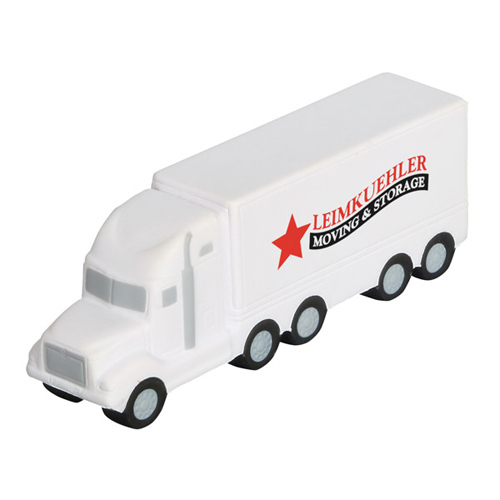 These stress relievers are an extremely affordable way to promote your business. 5" x 1-3/4" x 1"
Bulk / 23 lbs / 300 pcs. / 22x15x14box. Imprint Area: 2.25" x 0.625"
Imprint Area: 2.25" x 0.75"